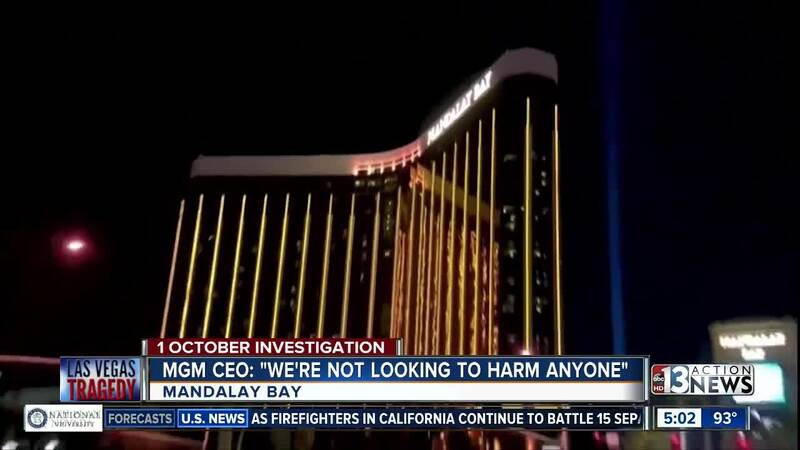 MGM CEO Jim Murren was asked by reporters about the company's controversial lawsuit against 1 October victims. During a press conference about MGM partnering with the NBA , CEO Jim Murren was also asked by reporters about 1 October lawsuits. The lawsuits against victims of the 1 October shooting have generated controversy, with some victims upset by the company's decision. But Murren says he believes the lawsuits would actually help the healing process by not drawing out a long litigation process. "We're not looking for monetary damages. We're not looking to harm anyone, in fact, we would like to see those affected compensated as soon as possible," Murren told reporters. 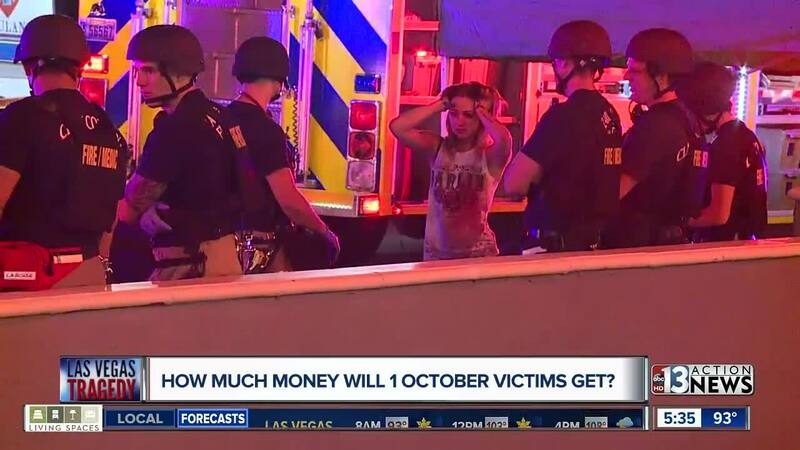 Meanwhile, survivors of the 1 October shooting now have two more months until Oct. 1 this year to apply for benefits through the Nevada Victims of Crime Fund . That fund is used for out of pocket medical expenses and counseling and is different from the Las Vegas Victims Fund , which was the original fund after the shooting, which has raised $31 million for victims. Clark County says of that $31 million, each surviving family of the 58 victims killed will receive $275,000. But some experts say that's lower than what happened in other U.S. tragedies. According to a recent Forbes article , the families of those killed in 9-11 each received around $2 million.